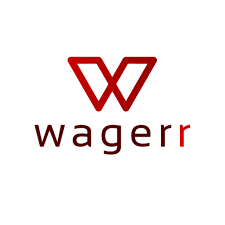 Wagerr is introducing its WGR tokens, based on the Ethereum Blockchain ERC20 tokens, through its Initial Coin Offering starting June 1, 2017. The company aims to become an online book-making site with more transparency and lower fees than the average legitimate or illegitimate bookmaker. The platform is being built with measures in place to guarantee the fairness of the betting and value of the WGR coin. The WGR Token will be the “money” used to make bets on the site. After the initial offering, Wagerr anticipates minting one million tokens per year. The company is focused on keeping the value of the token stable. The problem is, that as the value of the token moves in the marketplace, stability in betting amounts and value are hard to stabilize. Therefor they have come up with a unique strategy. As you can see, as the value of the WGR goes up, fewer tokens are burned as the affect of the wagering relative to the WGR price is minor. As opposed to when the WGR rate is low, more tokens are burned to keep the number of tokens lower and help steady the market price of WGR. Wagerr calls this the “Value Coupling”. The ICO will begin on June 1, 2017 and run through June 25, 2017. The coins are being released in rounds with each round earning additional bonuses as the ones after them close. So the earlier you come the more of a bonus you will earn. The first round consists of 17,000,000 tokens and the total for the first 10 rounds is 85,000,000 WGR. If Round 10 sells out by June 14, additional rounds will be offered and bonuses will continue to accumulate 1% per round. The purchase price per WGR is $0.05. Round 1 – Issue tokens and build Head to Head bet matching.